It's time for a challenge. I want you to put aside everything you know about training and try something new. And here's the interesting part...this "new" form of training isn't new at all. In fact, it's old as in old school. Believe it or not, in a time not so long ago - before steroids invaded the muscle building scene - lifters trained using full body approaches. Yes, that's right. Full body training. 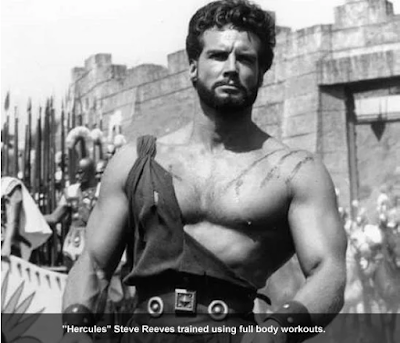 In fact, full body training used to be the accepted norm. Then things changed. Now I know what you're thinking: the change from full body routines to training splits must have been a needed evolution. It was! You're correct. Steroids entered the scene, and bodybuilders found they could train longer and recover more quickly. So steroid users began experimenting with split training. Around this time, publisher Joe Weider started to feature the elaborate split training routines of the largest steroid users on the planet in his magazines. 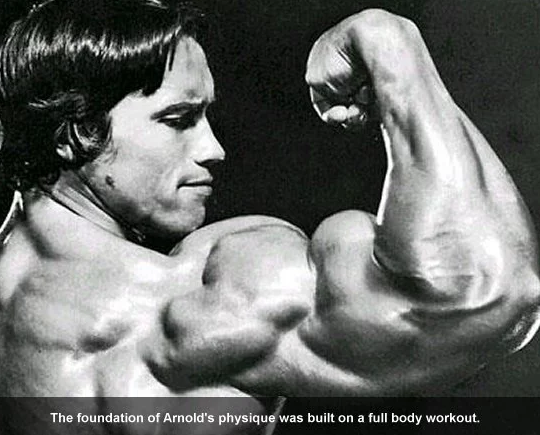 As a result, the science and practices of natural bodybuilding training was left behind and nearly forgotten. For the next 40 years or so, lifters opened magazines to (only) find HUGE Mr. Olympia and his six day double split routine. There was rarely any serious talk of full body training. In this article I will turn back the hands of time and introduce you to some training routines that were once the norm for natural bodybuilders. It is my hope that you won't dismiss them simply because they are old school. Consider the fact that some of the biggest naturals of all time trained using full body routines - Reg Park, John Grimek and Steve Reeves. Full body routines are not outdated. Every natural bodybuilder should take them seriously. A full body routine might not be the best routine for you, but as they say...you never know until you try. Full body routines are different than training splits in several ways. You will be hitting every major muscle group on each training day, either directly or indirectly, but you will be performing fewer daily sets per bodypart. Full body training can be very taxing, simply because you are hammering your entire body. Make sure you resist the urge to add in more training days. Training Frequency. Most full body routines require 3 weekly workouts, generally on Monday, Wednesday and Friday. You never want to perform full body workouts on back to back days. Exercise Selection. Full body routines focus on the use of heavy compound lifts. 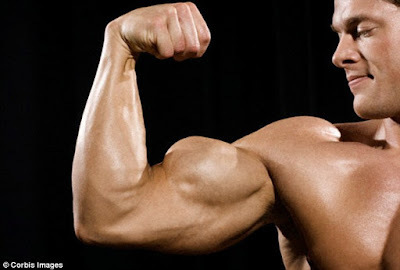 By getting strong on several major lifts, you will be stimulating muscle growth without the need to use numerous exercises for each body part. Minor Muscle Groups. In general, you will not find an excess of direct work for minor muscle groups. 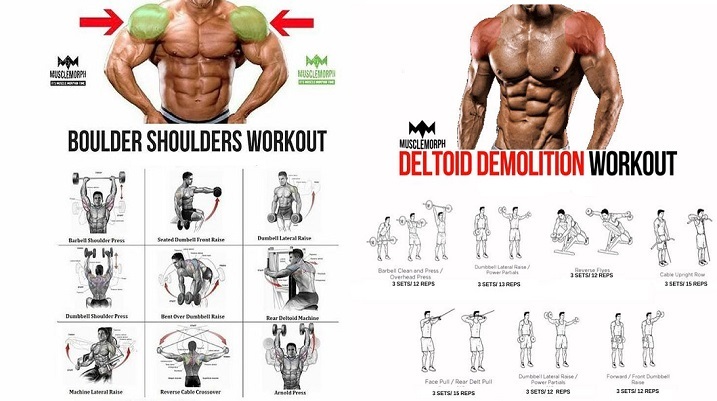 You must resist the urge to feel like a full body workout isn't effective because you aren't getting in enough direct work for rear delts, forearms, abs, etc. You are casting a broad net by working the entire body with compound lifts 3 times each week. This approach WILL cause minor muscle groups to respond. Mental Connection. Some trainees struggle making the mental connection with full body training. For some, seeing everyone around you engaged in split training can make you wonder if you're truly doing the right thing. Remember that just because full body workouts are old school doesn't mean that the lifters didn't have a clue about what they were doing. Full body routines were used effectively for decades upon decades. The Muscle & Strength 5x5 is a very simple yet effective routine for packing on both muscle and strength. You will perform a limited number of exercises on each training day, and your primary focus will be to get as strong as possible on each of these lifts. Stick with this program as designed and resist the urge to tweak it. The core lifts contained in this routine are essential for overall strength and muscle gains. By getting stronger on these lifts, you will be forcing your body to get bigger. Remember to eat enough. This routine, when used properly, will work wonders for skinny guys needing to bulk up and add strength. Target Group - Lifters looking to rapidly improve strength and add body weight. Can also be used as a general strength building routine, or as preparation/conditioning for a more advanced full body approach. Days Per Week - 3 (Monday, Wednesday, Friday). Routine Duration - 4 to 6 months. If you experiencing exceptional results, continue using this routine as long as you'd like. 5x5 Sets. 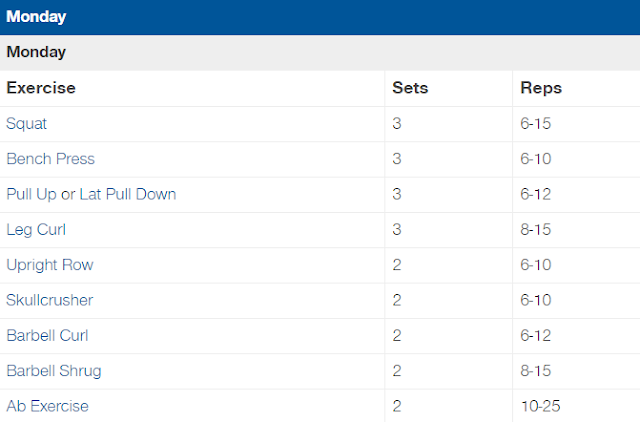 5x5 sets include 2 working warmup sets. Your first set is 60% of the working weight used on the final 3 sets. Your second set is 80% of the working weight used on the final 3 sets. 3 Set Exercises. Exercises that are listed as "3 sets" do not include warmup sets. Warmup as needed and appropriate. Rest. Rest approximately 2 minutes between sets. For deadlifts and squats you may need to rest as long as 5 minutes between sets. Deadlifts. The 4x5 protocol for deadlifts includes only one "working" heavy set, and 3 warmup sets. Your first set will be 50% of your heavy set weight for 5 reps. Your second set will 70% of your heavy set weight for 5 reps. Your third set will be 90% of your heavy set weight for 5 reps. The 20 Rep Squat HLM Full Body Workout takes a slightly different approach to packing on muscle. You will be squatting twice a week, with Monday being a heavier squat day. On Friday you will perform a single 20 rep set of squats. 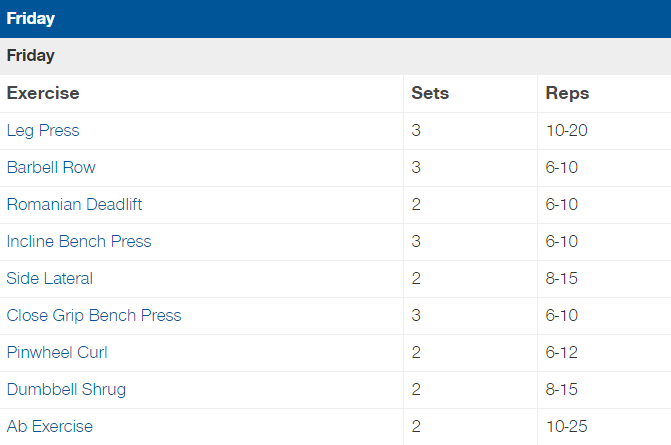 This set is brutally hard, but provides impressive results. This full body approach is for the experienced beginner or intermediate lifter who is no longer making quality muscle gains on training splits, and wants to try something shocking and different. Monday is your heavy training day - you will perform simple, heavy compound movements. Wednesday is your light training day - exercises will involve higher rep sets. Friday is your medium training day - you will work in moderate rep ranges with primarily heavy compound lifts. Training Level - Beginner +. Target Group - Beginner or intermediate looking to shock your body and pack on muscle mass? This program is for you. Routine Duration - Continue using this program as long as you are making consistent progress. 20 Rep Squat. It may take you several weeks to work up to your first full 20 rep squat set. Be patient, and pick a relatively light starting weight. Challenge yourself, and try to add 5 pounds to the bar every week or two. Light Day. Light day training should be challenging but not to failure. You want to push yourself and increase weight when possible. Heavy Day. For bench press, seated press and squats, add weight when you can perform 3 sets of 5 reps with the same weight. For the deadlift, try to add 5 pounds every other week - or 10 pounds per month. If you fail to hit 5 reps for a set, drop the weight by 10 pounds on your next workout. Medium Day. Medium day training should be challenging but not to failure. 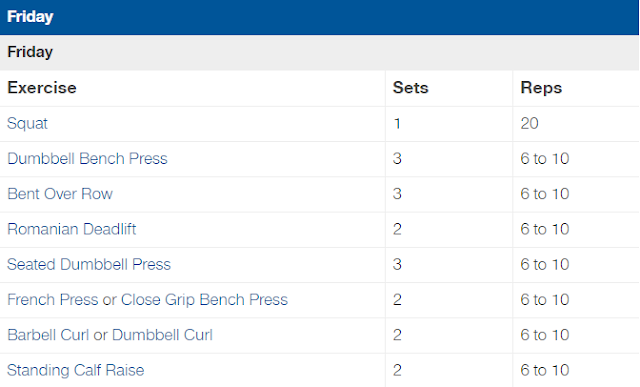 For each listed exercise, use the same weight for all sets. When you can perform 10 reps for all sets, add 5 pounds to the lift. Deadlifts. Perform 3 warmup sets prior to your one training set. Your first warmup set will be 50% of your heavy set weight for 5 reps. Your second warmup set will 70% of your heavy set weight for 5 reps. Your third warmup set will be 90% of your heavy set weight for 5 reps.
Warmup Sets. 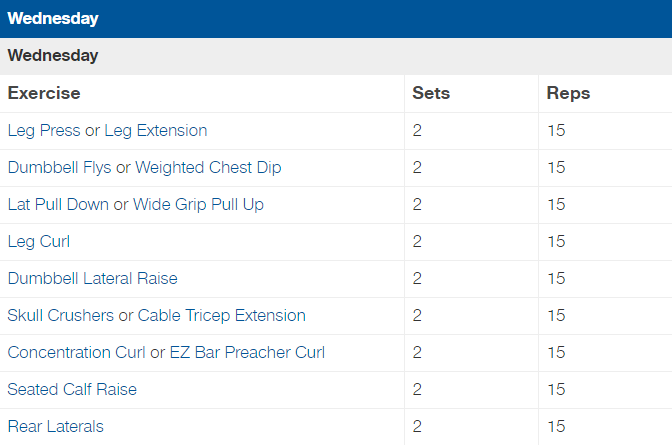 Listed sets do not include warmup sets. Warmup as appropriate for each listed exercise. Don't worry, The Grind is not as bad as it sounds. 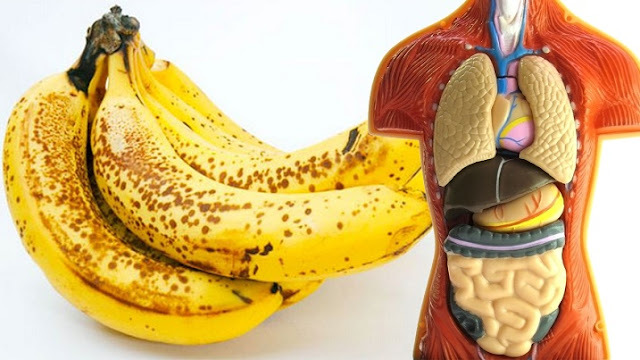 It's actually an amazing way to pack on strength without taxing and straining the body. The premise is simple...for each of the major lifts, focus on lower rep sets, trying to improve each set by only one rep. That's it! Over the course of a single year, The Grind can add up to 75-100 (or more) pounds on to your bench press, deadlift and squat. This is a perfect workout for someone who has made solid progress, and wants to maintain their momentum. While the focus is primarily on adding strength, supporting exercises focus on the addition of muscle mass, making this a good overall program for someone who is after muscle and strength. Training Level - Experienced beginner who has made solid strength gains and has a good grasp of form, or intermediate lifter. Target Group - Lifters who want to accelerate their strength gains while also gaining muscle or bulking up. Squat, Deadlift and Bench Press. For these lifts, when you can perform 6 sets of 3 reps add weight. Do not perform more then 3 reps per set. The Fast Start A/B workout is another quality introduction to the world of full body routines for experienced beginners. It focuses on major lifts, but also includes direct trap, calf and ab work. You will be building up core strength by squatting or deadlifting during each workout. 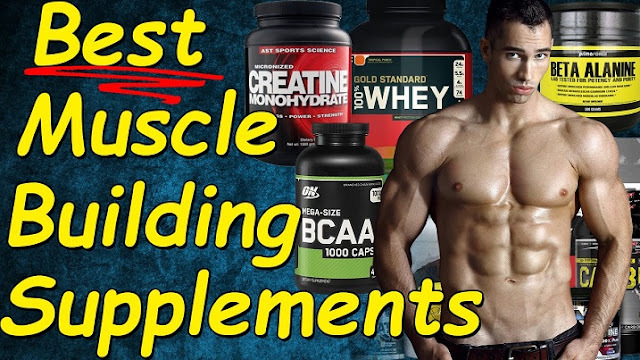 The Fast Start A/B is a perfect bulking routine for hardgainers or underweight lifters who are making very little progress using conventional bodybuilding split routines. Sets are performed in the 8 to 10 rep range, making this routine a solid muscle building approach. 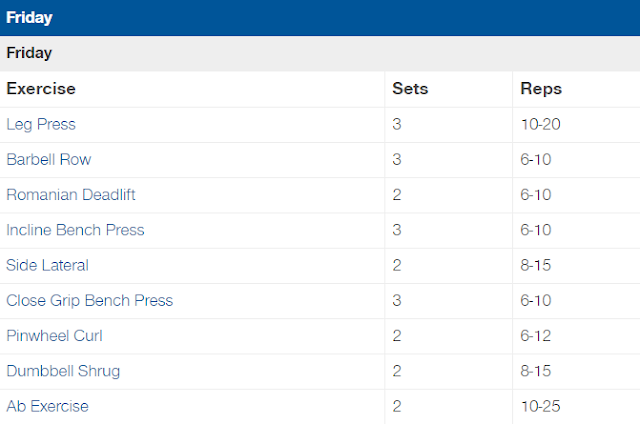 Training Level - Beginner+ who has a good grasp of exercise form on major lifts. 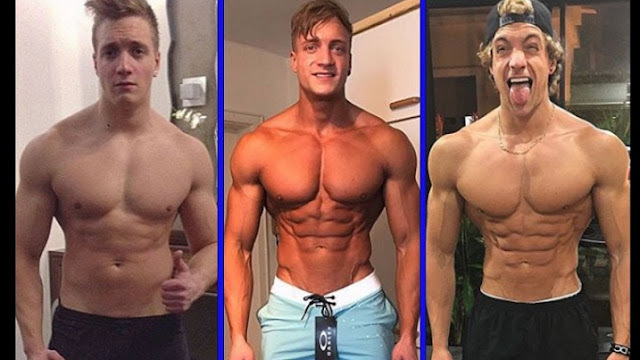 Target Group - Hardgainers of underweight lifters who aren't making progress on conventional bodybuilding split routines. Days Per Week - 3 (Monday, Wednesday, Friday). 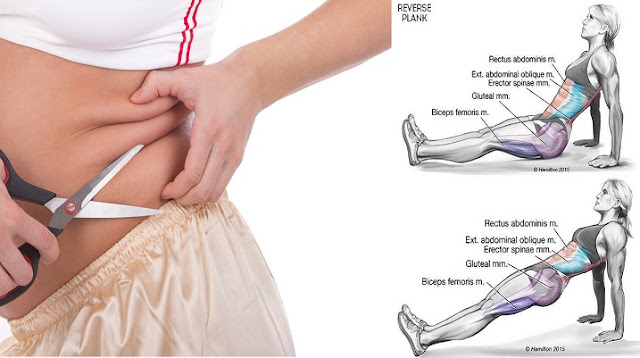 You will rotate between 2 workouts. Week 1 is A/B/A, and week 2 is B/A/B. Routine Duration - Use this program for 6 months, or as long as you are making consistent progress. Progression. Remember that progression is critical for results, especially for the hardgainer. When you can perform 10 reps for a set, add weight. Push yourself on every set, but do not train to failure. This is a bread and butter muscle building routine for intermediate lifters who have always used split routines and want to experiment with a full body approach. You may need to use lighter weights for several weeks as your body adapts to hitting muscle groups 3 times per week. Resist the urge to add in more daily volume; remember that the total weekly volume performed per muscle group on a full body routine is about the same as the volume performed on a standard split routine. 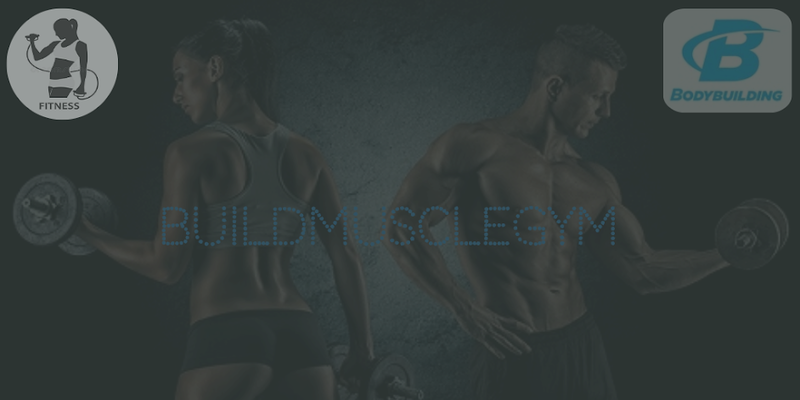 Target Group - Experienced bodybuilders who want to give the old school natural approach a try. 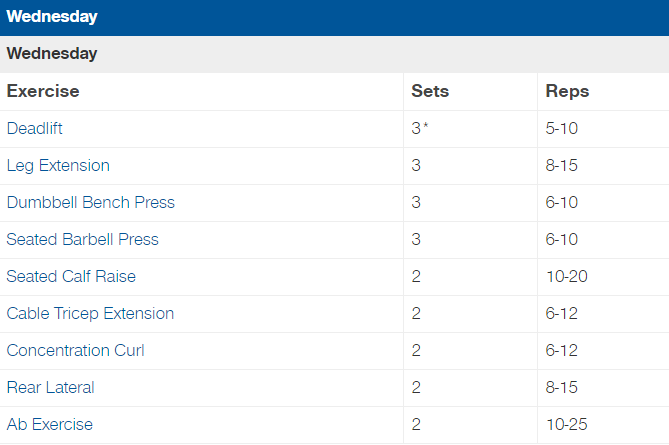 Routine Duration - Use this program for 6 months, or as long as you are making consistent progress. 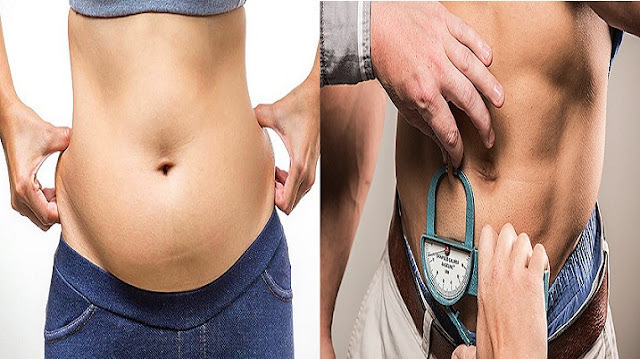 Over time you will begin to make adjustments to fit your individual needs and body. Rep Ranges. General rep ranges are provided for example purposes only. Weight. Because you are performing 9 exercises per day, it is best to use the same weight for all sets. This will cut down on workout duration. Progression. Focus on progression for every set of every exercise. Use whatever progressional scheme you prefer. Deadlifts. You will be performing only one heavy set. Your first set will be 60% of your heavy set weight for 5 reps. Your second set will be 80% of your heavy set weight for 5 reps. Your third set is your heavy set. There are about as many possible full body routine variations as their are split training variations. Each of the routines listed can be modified to fit your individual needs. Remember that full body workouts can be like learning another language. Ease into a simple full body routine first. It is better to explore a basic full body workout for several months and build in to this style of training as you learn your capabilities.